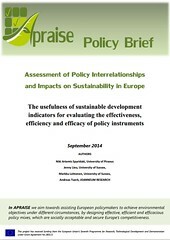 Improve the decision basis for the selection of policy tools through a better understanding of the efficiency, efficacy and effectiveness of different sustainability-related policy tools. Include policy interrelationships (synergies and trade-offs) into efficiency assessment and policy design. Interrelationships include intra-sectoral, inter-sectoral, and EU Member States interactions. 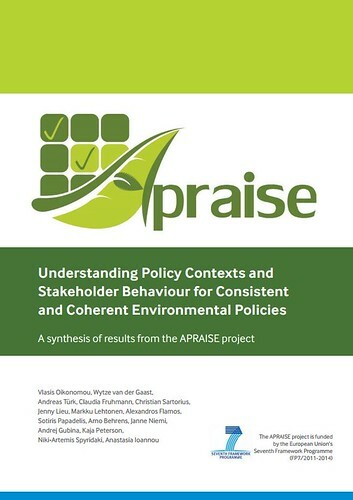 Empirically assess the existing and planned environmental policies in several EU Member States and selected sectors and expand the existing databases on cost, effects and social implications of environmental policies. assessing the contextual factors that shape the degree to which indicators are used by various policy actors and influence policymaking.